The Awards are provincial in scope and aim to showcase the commitment and dedication to the high standards that CHBA BC member companies strive to uphold. A Georgie Award has become an industry stamp of quality. The quality of entries and the calibre of projects is a testament to the talents and efforts of CHBA BC members. 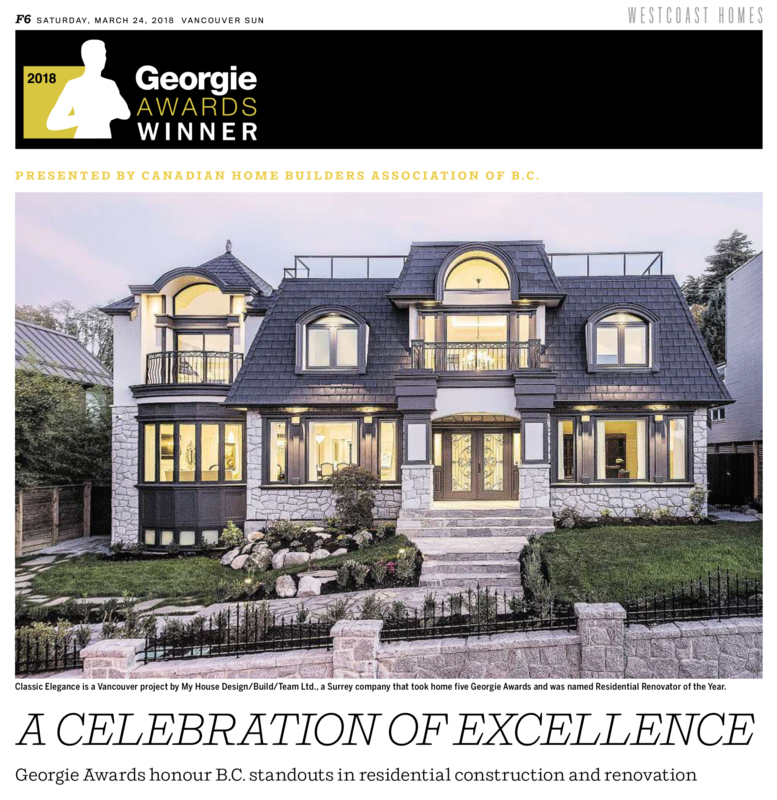 In order to be eligible to enter the Georgie Awards® you must be a member of the Canadian Home Builders' Association. Our affiliated Local Home Builder Associations include CHBA-Vancouver Island, CHBA-Fraser Valley, CHBA-Central Interior, Central Vancouver Island, Greater Vancouver Home Builders' Association, CHBA-Rocky Mountain, CHBA-South Okanagan, CHBA-Central Okanagan, CHBA-Northern BC and CHBA-Sea to Sky. To become a member of the Canadian Home Builders' Association of British Columbia, please e-mail, info@chbabc.org, call 604-432-7112 or visit www.chbabc.org/local-associations.html.